You are here: NordicDesign / What we want for Christmas! One model, two sizes and a thousand choices! The website is fun and easy to use. 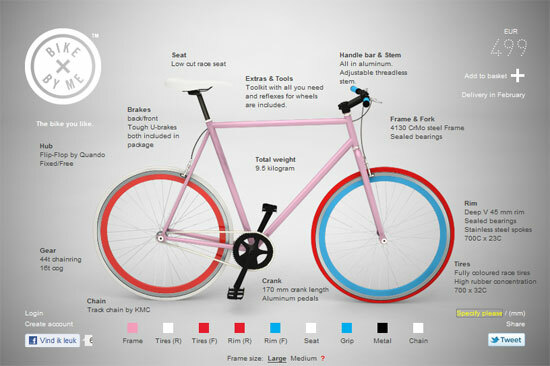 You can choose the color of the seat, handles, rims, tires, etc., and create your dream bike! Bike By Me offers one unisex model at the moment. It is light and robust, with a simple design. Update (2017): The company no longer exists.